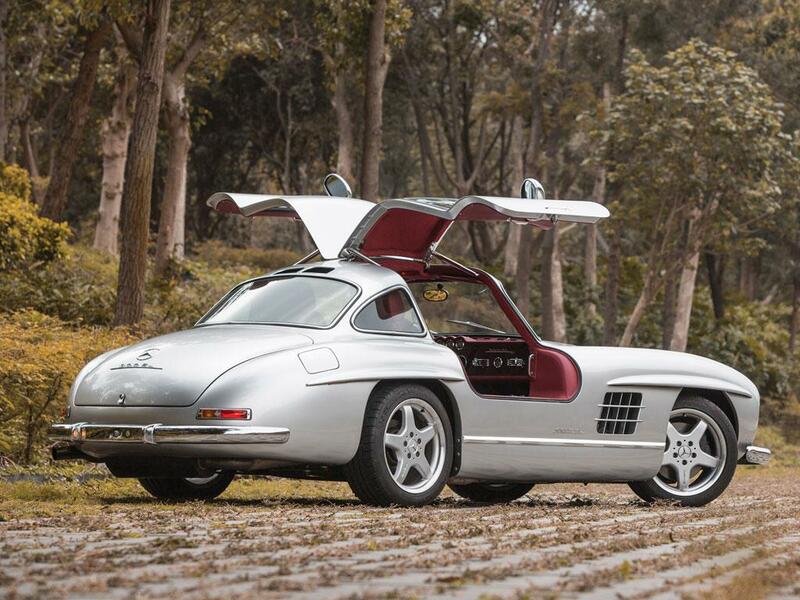 Rare and exquisite cars fetch too much money these days in auctions. 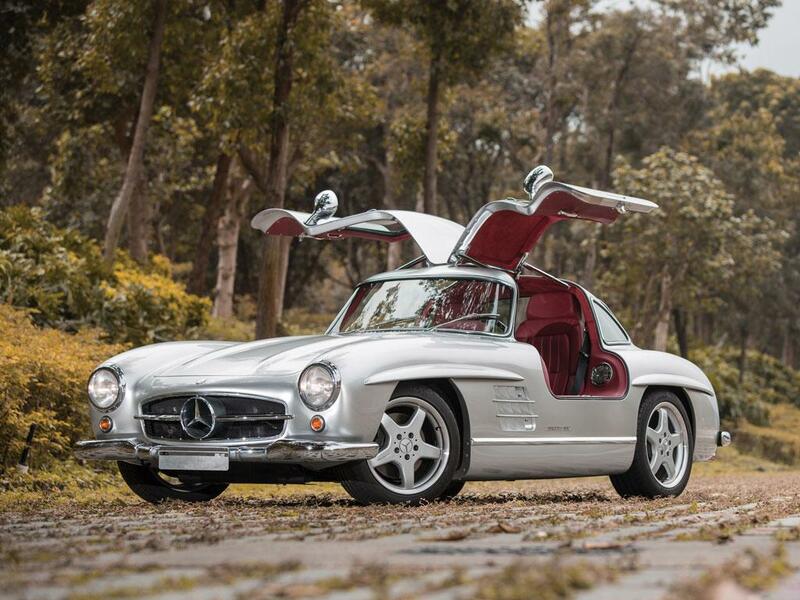 Now, a rare Mercedes-Benz 300 SL by AMG is ready to go under the hammer at RM Auctions in early May in Monaco. AMG began working on this 300 SL when a Brunei sultan ordered them to kit the car with modern interiors. An additional nine orders were placed so between 1996 and 2009 AMG restomodded eleven original 300 SLs (eight gullwings and three roadsters). A 1954 gullwing with chassis number 198040 is now up for grabs at RM Auctions and will be go under the hammer in Monaco this May. This 300 SL has the same chassis and body, but AMG removed the original straight-six engine and installed a V8 6.0-liter motor. This motor churns out 380 bhp (283 kW) and 427 lb-ft (578 Nm) of peak torque. AMG also replaced the original swing-arm rear suspension with a five-link arrangement together with Bilstein shocks and AMG’s alloy set. Other upgrades include a four-speed automatic transmission, disc brakes and power steering. Coming to the interiors, this 300 SL features rich Nappa leather upholstery combined with an Alcantara trim and a HWA steering wheel. AMG has also installed carbon fiber protective panels and a Sony CD changer. For the final touch, the engineers decided to retain the original 300 SL instruments, but added an electronic display.